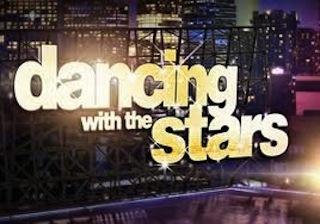 For some reason, people get passionate about Dancing with the Stars. Who knows if it’s the stars or the dancing that’s to blame but, when people aren’t frothing at the mouth over contestant choices, they’re shooting TV sets over the results. The latest episode in the headline grabbing show is an anthrax scare that occurred after a letter containing white powder was mailed to the studio. The show, while airing on ABC, is filmed at CBS Studios, the same studios where, only a month ago, Craig Ferguson had an anthrax scare of his own. Not only that, this is the second time in as many years that this has happened to DWTS. Fortunately, like those other two occasions, authorities found the powder to be harmless. This is very worrying. If the show keeps being this dangerous, someone might go see that new Footloose remake and get some ideas. Dancing could be banned forever in the small town of CBS Studios! On the upside, that would make for a perfect opening for Kevin Bacon to be a contestant next year.